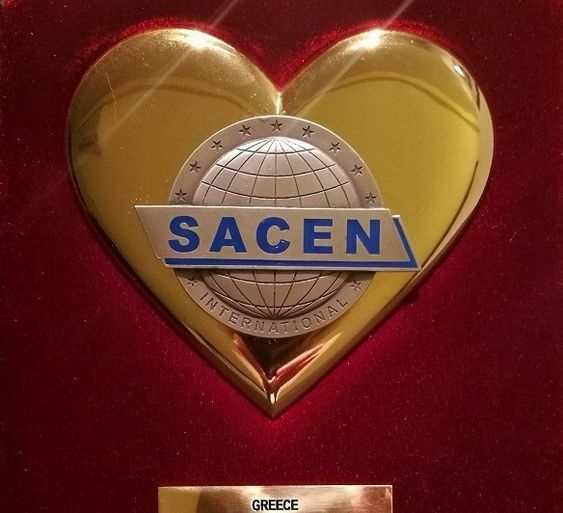 Greece has been awarded as the number one tourism destination in the Mediterranean and Southeastern Europe for 2018 by SACEN International, known as the “Oscars of Tourism,” during a special ceremony recently organized in Belgrade, Serbia.During the last 17 years the awards have been given to countries and enterprises active in the field of tourism in the Mediterranean and southeastern Europe.The winners are divided in seven categories: Tourism destination; business tourism; cultural tourism; tour operator; gastronomy tourism; best enterprise in the catering sector; tourism personality of the year in the Mediterranean and southeastern Europe.Greece’s award was received by the chief of the Greek National Tourism Organisation office in Serbia, Sofia Lazaridou.The judging committee visited all nominated enterprises and destinations across 18 countries, with Greece, Serbia, France, Italy, Austria, Turkey, Tunisia and Cyprus among them.SACEN International was established in 1957 and is based in Belgrade. The multi awarded, internationally recognized hotel management company, ΗotelBrain , has undertaken to organize in Athens, Greece the European Gala Ceremony of World Travel Awards 2018, which will be held in Zappeion Megaron, on June 30th 2018. World Travel Awards is recognized globally as the ultimate hallmark of quality, with winners setting the benchmark to which all others aspire.Each year, World Travel Awards covers the globe with a series of regional gala ceremonies to celebrate the achievements of the travel industry. Votes are cast by both travel professionals and consumers, ensuring that only the most deserving organizations walk away with one of these prestigious accolades. Top personalities of of World Tnavel and the international tourism market will be hosted in Athens for the occasio , an ideal opportunity for Greek Tourism to highlight its Greece's beauties, and Athens' graces as one of the most important European city break destinations. 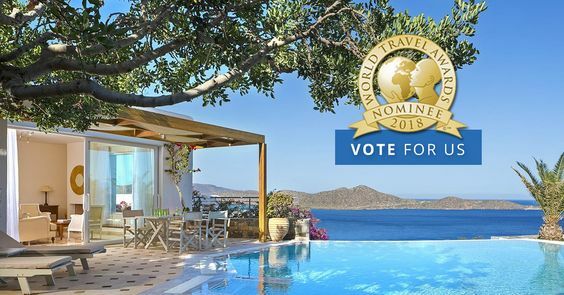 The voting closes on Sunday May 20th 2018 and you can vote for at worldtravelawards.com here. The 2018 Seven Stars Luxury Hospitality and Lifestyle Awards (SSLHLA) will be held in Crete on October 6th at the pristine OUT OF THE BLUE Capsis Elite Resort, marking the first time an internationally acclaimed award ceremony will be held on the Island of Crete. The leading lights of the tourism industry from around the globe will be in attendance to collect the SIGNUM VIRTUTIS, the seal of excellence, as well as numerous VIP’s among which are HSH Prince Massimiliano della Torre e Tasso, HSH Princess Costanza della Torre e Tasso and HRH Nathalie Princess of Hohenzollern. 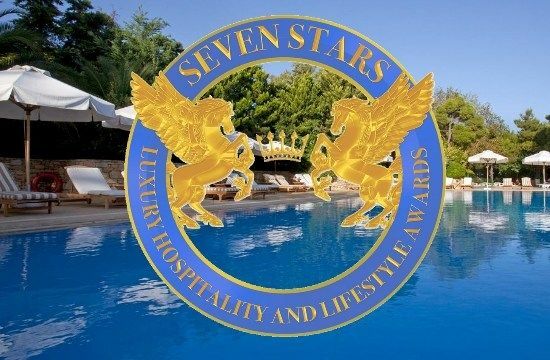 The Seven Stars Luxury Hospitality and lifestyle Awards are unique within the hospitality industry focusing on maximizing benefit to its winners as well as exclusivity. The company’s meteoric rise has catapulted its winners into the limelight with events that have been held in Spain (twice), Malaysia, Bali and Greece. The event, hosted by Celebrity Presenter & Luxury Panel Member Ece Vahapoglu, will consist of a lavish Cocktail reception, a sumptuous Gala dinner, awards presentations and entertainment. As always, this will not be a regional event. The SSLHLA ceremony is a global event attracting winners from all over the world. The luxurious event serves, not only, to recognise the amazing achievements of the winners, it is also a high-level networking event designed to bring together leaders within the Luxury Hospitality industry. ”it is an honour to host the prestigious 2018 Seven Stars Luxury Hospitality and Lifestyle Awards Gala Ceremony. Having already received the SIGNUM VIRTUTIS, the seal of excellence from the SSLHLA as one of the best Hotels & Resorts we feel we are the perfect venue for the event. We have vast experience spanning decades and we are looking forward to providing winners and guests with an amazing time during this magical event under the stars surrounded by the Aegean Sea."